This past February, Rock Solid Stabilization, was recognized for our outstanding safety performance for 2018. Rock Solid had zero lost time injuries for the entire year while working 155,950 hours. 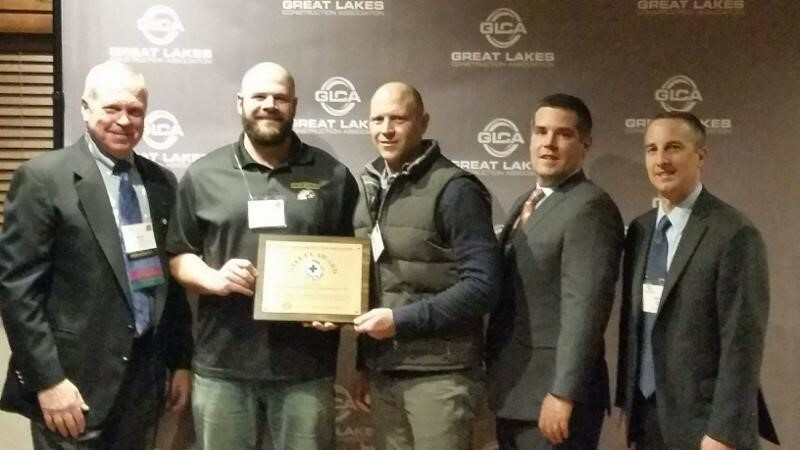 Great Lakes Construction Association recognized this achievement by awarding us with a plaque at their Annual Safety Awards Dinner at The Shanty in Wadsworth, IL. To be eligible to receive this award, you must have a safety score under the national average set by OSHA regulations in your bracket per hours worked. Thank you GLCA, for the award, and your continued efforts to make our industry as safe as possible.